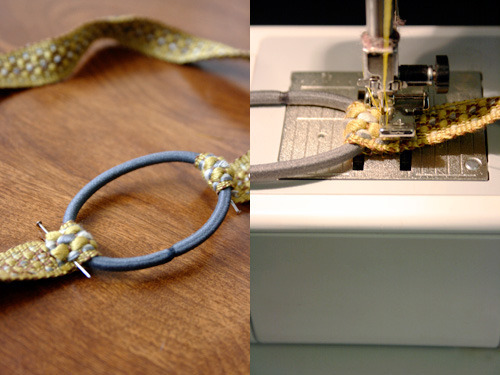 Today I have a super easy and quick way to make a headband. Its great for anything you may have lying around - extra trim, ribbon, an old sash belt, fabric scraps, or anything you can think of! 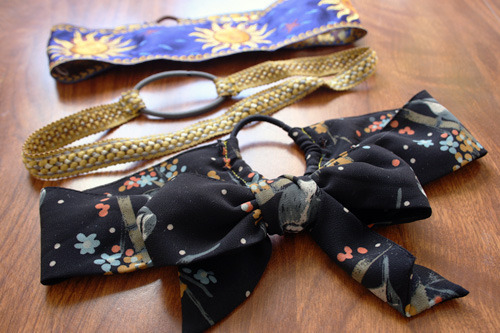 All you need to do, is add one of the kajillion hair bands you have lying around (come on, you know you do), and voila! A instant stretchy headband! 1. Measure around your head and subtract 1”. 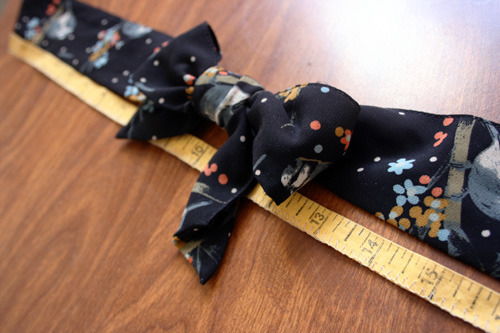 Measure and cut this length from your ribbon/trim. If you want to do a bow, I suggest you tie the bow first, and then measure from there. That way you don’t end up with too little/ too much for the bow. 2. Wrap each end around the hair tie and pin. Don’t leave too much seam allowance! If you do, you’ll be making it smaller than planned and the headband will be tight. 3. Sew! You can do it by hand or by machine. If you are doing it by machine, I suggest you use a zipper foot or something similar. It will be easier to get right up next to the hair tie. When you’re done, trim any excess. And there you have it! 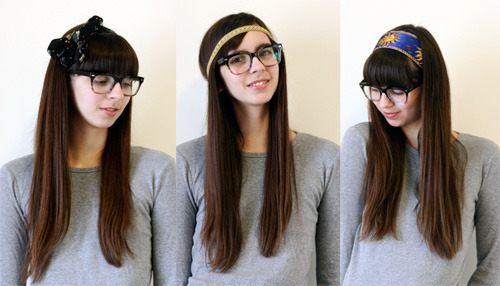 A super simple way to turn anything into a stretchy headband!